Last blog Combat Negativity with Discipline I mentioned that after learning I was diagnosed with cancer on Saturday, February 25th, 2012, my doctor informed me that I had a 70% chance of survival. That number was inaccurate. It reflected a number based on general diagnosis of Acute Myeloid Leukemia patients. It did not accurately reflect my personal diagnosis which would be less than 10% survival after the University of Iowa Hospital tests would be completed the following week. Subsequent test results and failure to achieve results with chemotherapy later reduced my survival rate to less than 1%. Perhaps that makes me more sensitive to hearing estimates in the meetings my clients have. Comments like we’re doing good. Or someone estimates 33% of their calls I speak to someone, another third I leave a message and the rest I send an email are insufficient to me. Really? Are you sure? Are you tracking those numbers? What exactly does that mean? The easiest and laziest thing to do is simply estimate. Giving percentages or numbers based on what you feel is effortless. Yet unless that estimate is made on the basis of recent data it’s nothing more than a guess. Are you willing to run your business on guesses? Recently I worked with one of my clients to determine what their conversion rate with prospects is. A member of the leadership team challenged the 10% figure the sales force estimated it took to move a lead into the pipeline. Upon reaching that level they felt 10% of prospects would convert. His challenge led the leadership team to realize they were achieving better results than one in ten prospects converting. No one has the actual numbers they are converting. 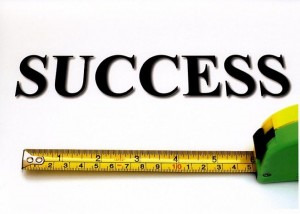 My question for you is this: Are you allowing someone to estimate what your results are? Do you ask for the true measurements that are being achieved in the field? 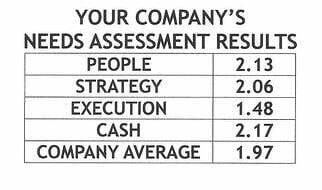 Do you make decisions based on the real numbers or based on what you feel is the results your team is achieving? One of the lessons I learned from my time as an E-Myth coach is that when you build a system, before you make any decision or changes, you first measure the current way you are doing it. Only after you have the metrics from the current system do you make any adjustments. Without current measurements, how will you know if any changes you make actually improve or decrease the outcome? A tweak here, a tweak there, without previous measures it fails to assess the significance of the adjustment you made. The real value of measurement is reporting back to those who follow the system how significant their performance improved or decreased with the adjustment made. Estimates are meaningless. Give me real numbers! Give me something I can sink my teeth into. Positioning Systems Brand Promise and Inside Advantage provide a Value Guarantee: Positioning Systems believes and is so committed to Your Success that unless You see Results You do not pay for our coaching. This is true for our coaching services as well as the Mastering the Rockefeller Habits Workshop, April 29th in Cedar Rapids, IA. Download the Flyer or Register Now. How much leadership training is effective? McKinsey & Company recently published an article, Why Leadership-Development programs fail. They looked at four specific causes, each addressed in the Rockefeller Habits disciplines and specifically by following Strategic Disciplines principles for Priorities, Meetings, and Metrics. We’ll explore these failures and how to overcome them in our next blog.